This lovely occasional table set includes a coffee table and two end tables. The simple and stylish tables will help you quickly transform your casual living room into a warm and inviting space where friends and family can relax. The rectangular cocktail table features a smooth top with straight edges, and sleek square legs. An "X" motif on each side creates a fresh look, with a spacious lower shelf that is ideal for coffee table books and magazines. 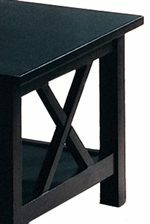 The two matching end tables have square tops, and repeat the same "X" motif below, with another lower shelf on each table for decorative items. Available in a Burnished Oak and deep Cappuccino finish, these three pack table sets are sure to complete your casual contemporary living room ensemble. 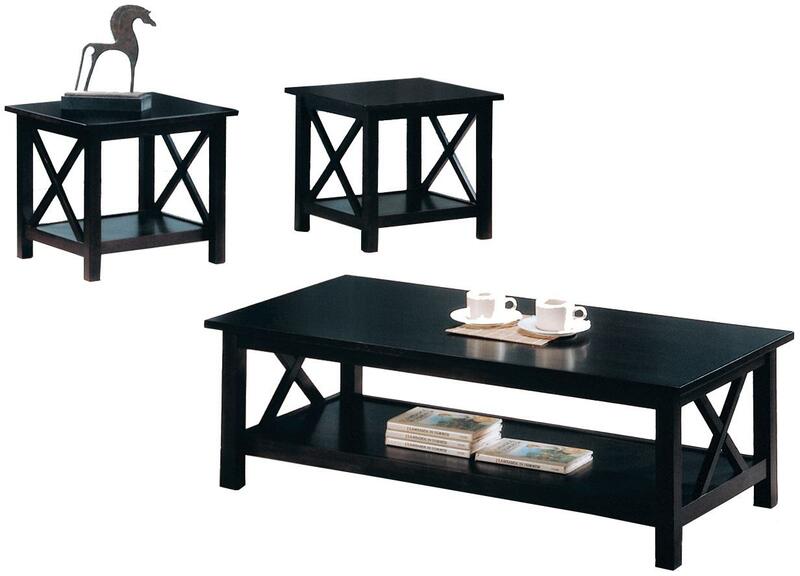 The Briarcliff Casual 3 Piece Occasional Table Set by Coaster from Nashco Furniture - Nashville. We proudly serve the Nashville, Franklin, Brentwood, Clarksville, Green Hills, Davidson County, Williamson County, Tennessee area. Product availability may vary. Contact us for the most current availability on this product. Case Detail Smooth straight edges, square legs, "X" motif. Description: Top Smooth tops with straight edges. The Briarcliff collection offers a complete style update for your casual contemporary living room. This group includes a convenient three piece occasional table set, including a coffee table and two end tables, and a sofa table to complete the ensemble. Clean lines, straight square legs, and a fresh "X" motif on each table's sides create a simple but stylish look that will blend easily with your decor. Available in a Burnished Oak finish and deep Cappuccino finish, these tables are sure to complement your decor. The Briarcliff collection is a great option if you are looking for Casual furniture in the Nashville, Franklin, Brentwood, Clarksville, Green Hills, Davidson County, Williamson County, Tennessee area. 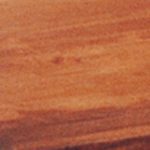 Browse other items in the Briarcliff collection from Nashco Furniture - Nashville in the Nashville, Franklin, Brentwood, Clarksville, Green Hills, Davidson County, Williamson County, Tennessee area.